It's nice to have a Common female pirate. Looks good in hand. Also useful for a duelist type character. the only reason this doesn't get 1 star is because most of the paint is ok. MOST of it. the face looks like a burn victim, and the hat looks like it's floating over her head. I like neutral poses, but this one is just a bit too neutral. Nice paint. Sharp enough detail...including the large metal breasts. This is a good sculpt equipped with a good paintjob (the face could use abit more attention). 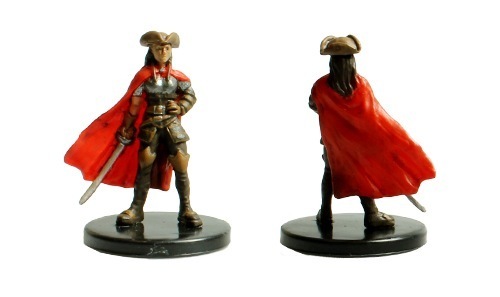 Sign in to start a discussion about Pathfinder Battles—Skull & Shackles: Pirate Sailor!